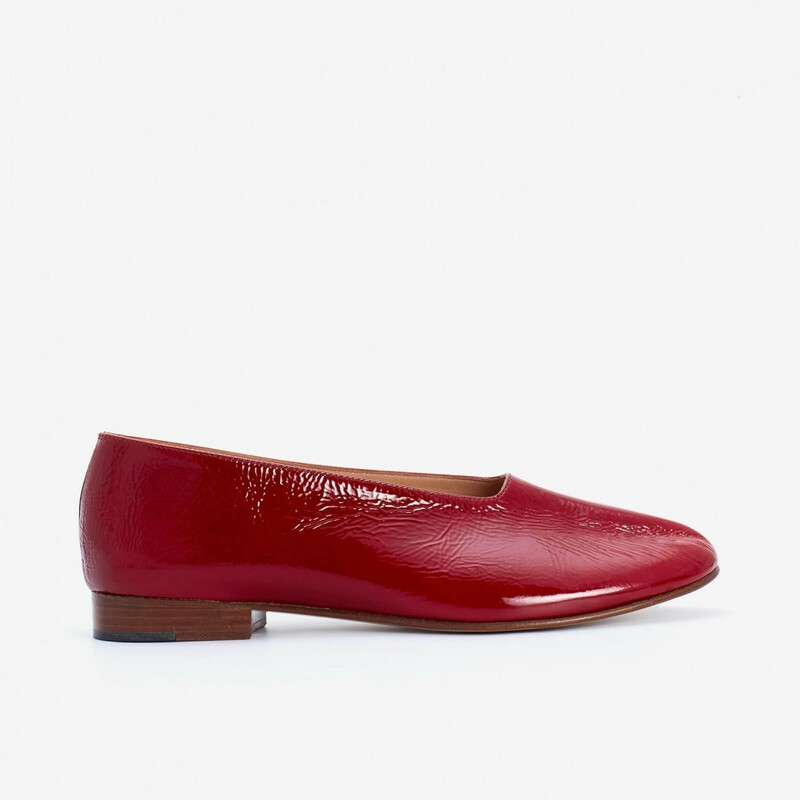 Red loafers are often associated with Ivy League and Preppy style. Furthermore red slip-on shoes have been worn by Pope throughout the history. This particular model that Pope used to wear was made from red Morocco leather and called Papal shoes. The indoor version, Papal slipper, was made of silk or red velvet. So historically the red colour in shoes has been associated with a certain hierarchical status. 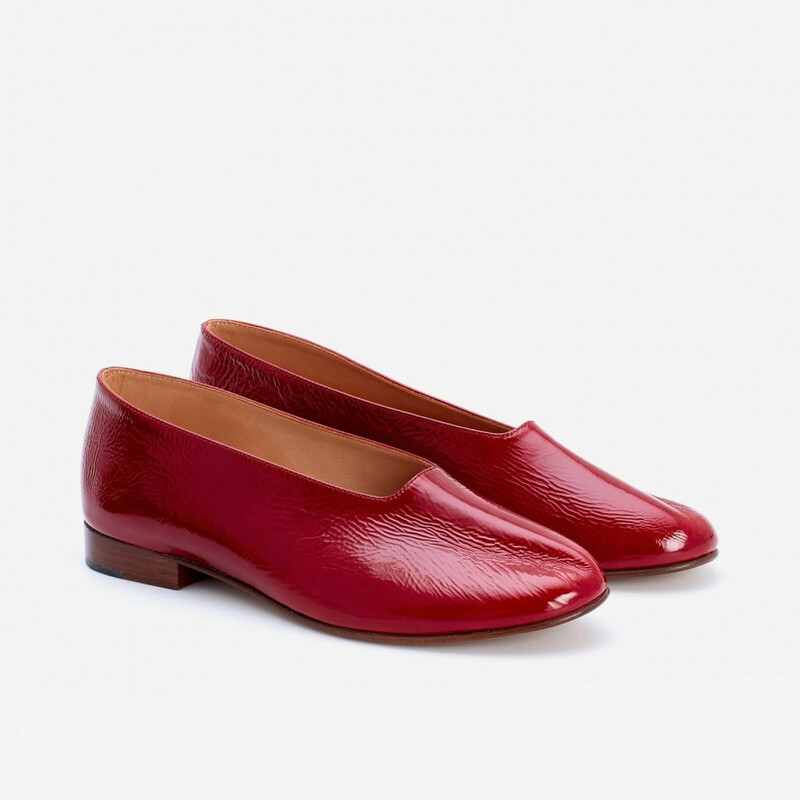 This beautiful pair of MARTINIANO glove shoe is made from red patent kid leather with slightly wrinkled appearance. This is complimented by na. Read more.. 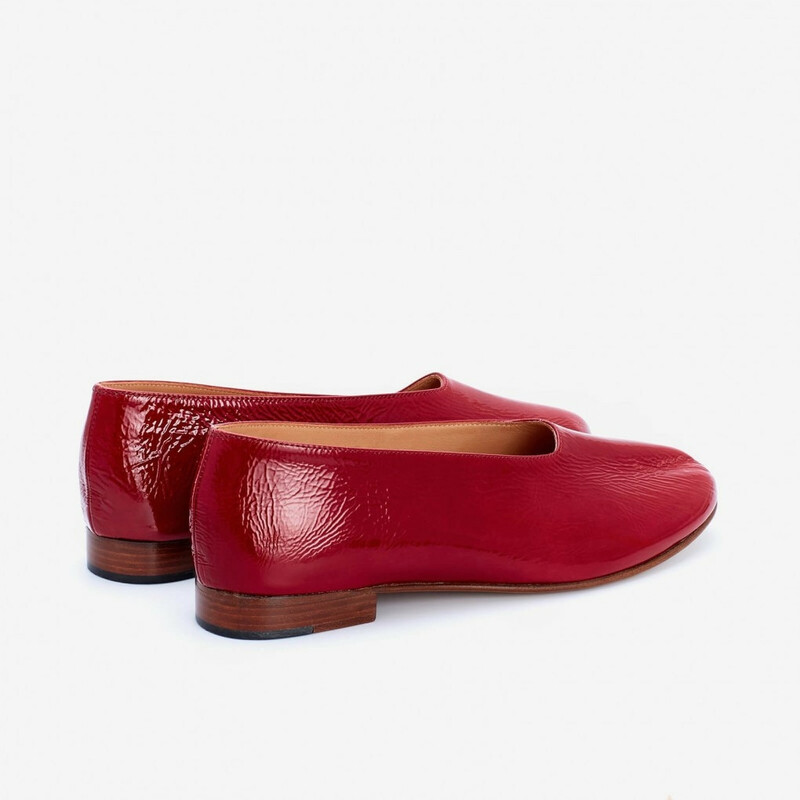 This beautiful pair of MARTINIANO glove shoe is made from red patent kid leather with slightly wrinkled appearance. This is complimented by natural coloured leather sole and heel. All MARTINIANO shoes in the New Materials collection are handmade in Italy. Because all Martiniano shoes are handmade and not factory-manufactured, slight variations, marks and imperfections are inherent to the product. These marks are the evidence of an artisan process. The design philosophy of Martiniano further adheres to the Japanese wabi-sabi philosophy: An aesthetic centered on simplicity, economy, austerity, rusticity, freshness and understated elegance, in which the slight quirks and anomalies arising from the natural qualities of the material and the craftsmanship are embraced as essential to the uniqueness and elegance to the object. 1 x Glove Shoe Burgundy Patent was added to your shopping bag. 1 x Glove Shoe Burgundy Patent was added to your wishlist.